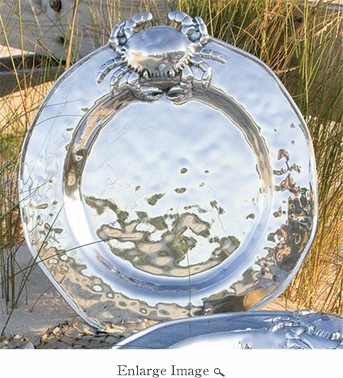 Like an ancient treasure from the sea, Beatriz Ball's OCEAN Collection Crab Plate embodies a certain timeworn elegance. Textured undulations on the surface are punctuated by a lively crab at the crest. The crab plate, bowl, and other items all coordinate beautifully with our OCEAN or SOHO Collection items.